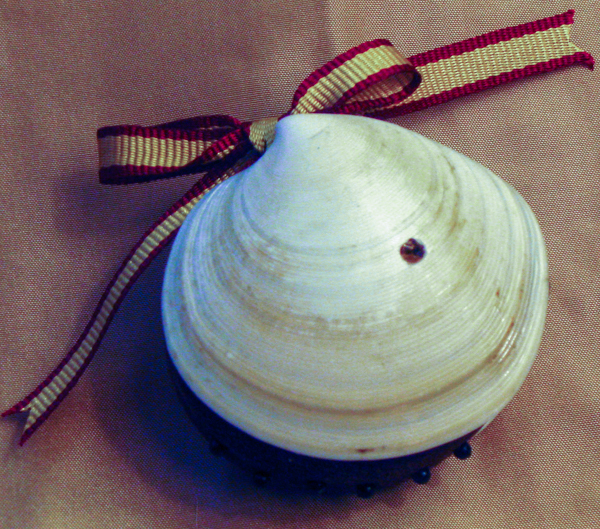 A lovely seashell pincushion, crafted by Sherry Key, from 19th century instructions. Sherry sews seashells, too! I was tickled to hear from a reader who sent a photo of her seashell pincushion, and couldn’t resist sharing. She did have to add another layer of fabric to make the “bag” for it, since the directions (unsurprisingly) left a little to be desired.